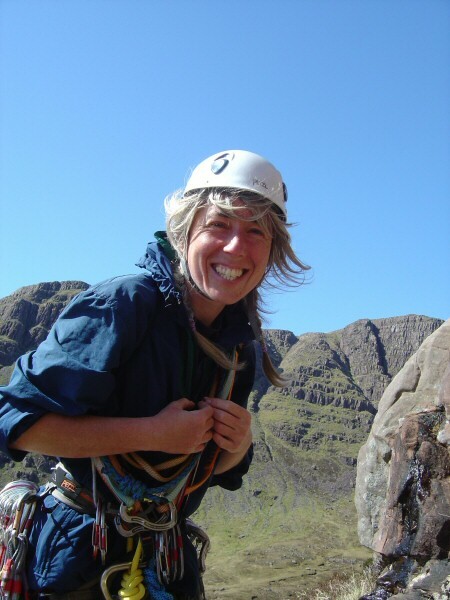 I was down at Ratho on Monday with my Mum, Lawson, Ruth, James, Clare and Cameron as they all wanted to try some climbing. 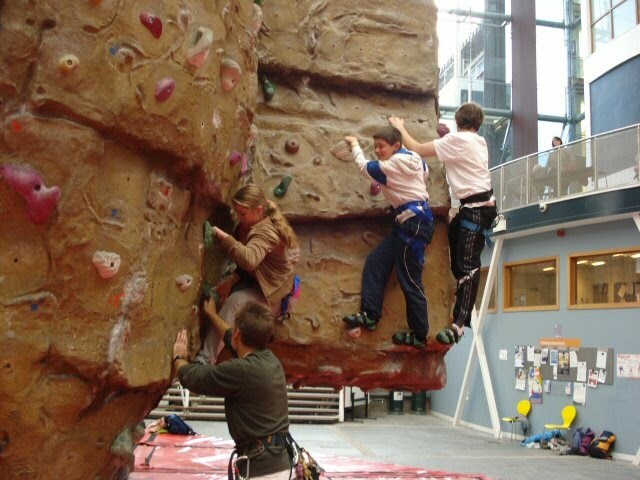 Ron and I belayed to give them all a few chances on various routes then all finished off with some bouldering. Our group covered a great range in ages from 12 to 75 years old! 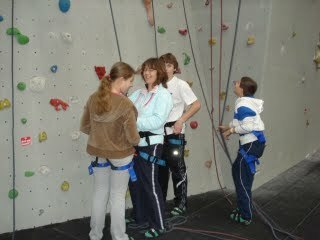 My Mum had never climbed before so she was really pleased to get so high up on the wall (3rd photo). 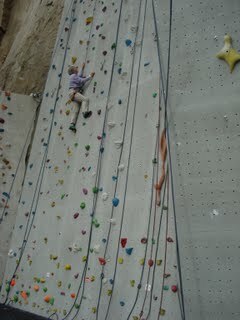 Ron and I then went back again on Tuesday for some climbing for ourselves and had great fun on the longer lead routes. 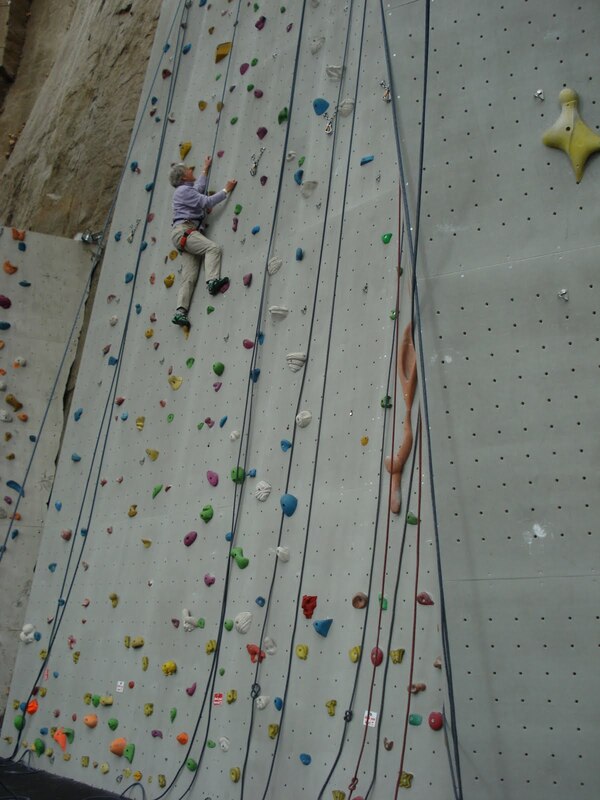 Inverness wall is going to feel rather short in comparison!